Capturing first place on Farm 1 was the �Quality Liquid Feeds� team. Front (left to right) are team members Jacob Wilshusen, University of Missouri, Jenica Reagan, Oklahoma State University, Whitney Shonka, Iowa State University, Johanna Knorr, University of Minnesota, and Daniel Dominguez, Michigan State University. Earning the top honor on Farm 2 was the �AgSource Cooperative Services� team. Front (left to right) are team members Wyatt Smith, University of Minnesota, Taylor Kruse, The Ohio State University, Taurie Schroeder, Northwest Missouri State University, and Katie Sell, Fox Valley Technical College. 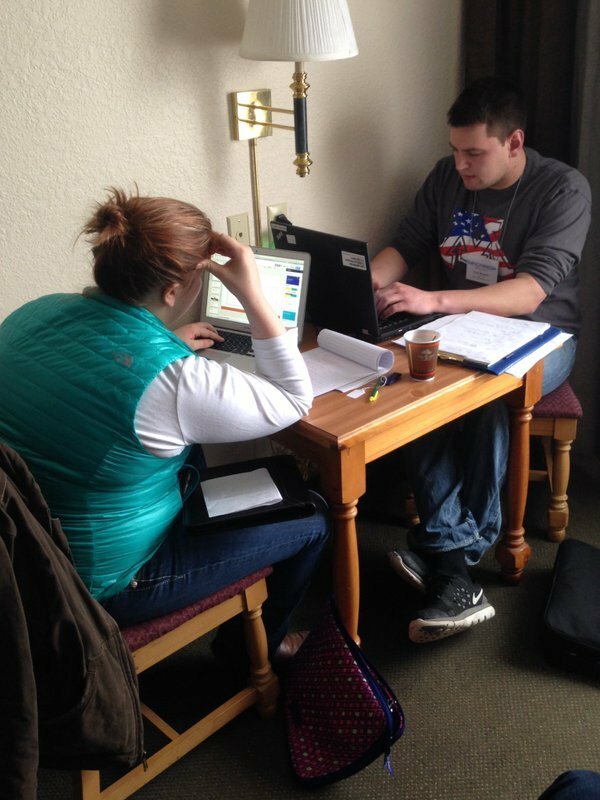 Students are compiling their evaluations of the farms and preparing their presentation. 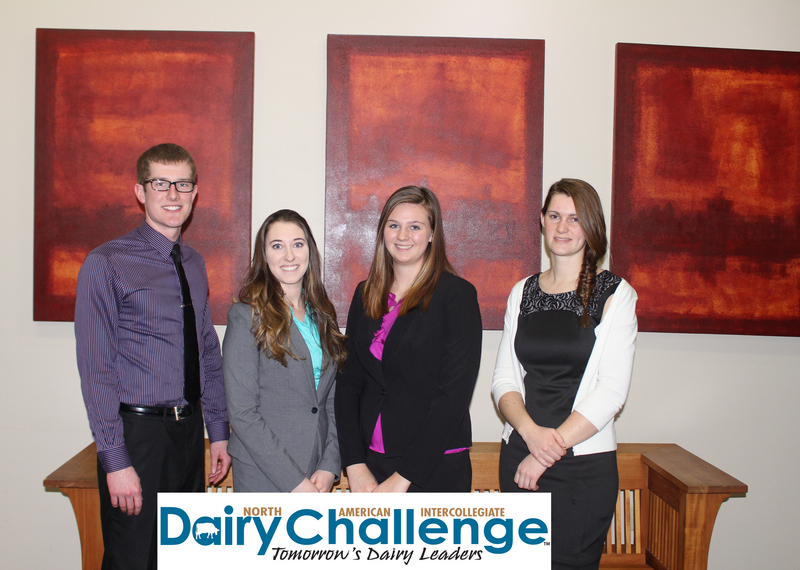 Social Media Corps gives students another opportunity to participate in Dairy Challenge by acting as media. This year's participants are from left to right: Paige Dilley, University of Wisconsin-Platteville, Megan Lien, Iowa State University, Mariah Schmitt, Iowa State University and Katie Knuth, University of Wisconsin-Platteville. 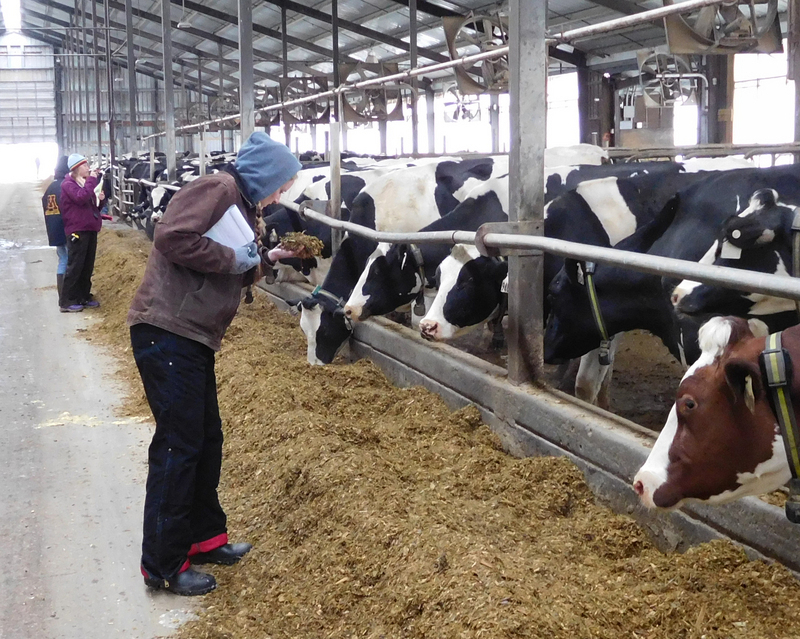 During the farm visits, students take the opportunity to evaluate and look at different feedstuffs. 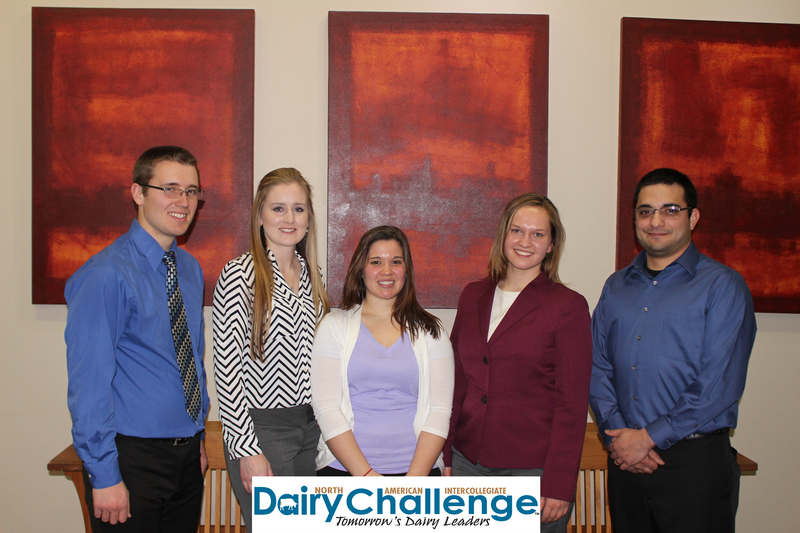 All of the college students that were in attendance for the Midwest Dairy Challenge.